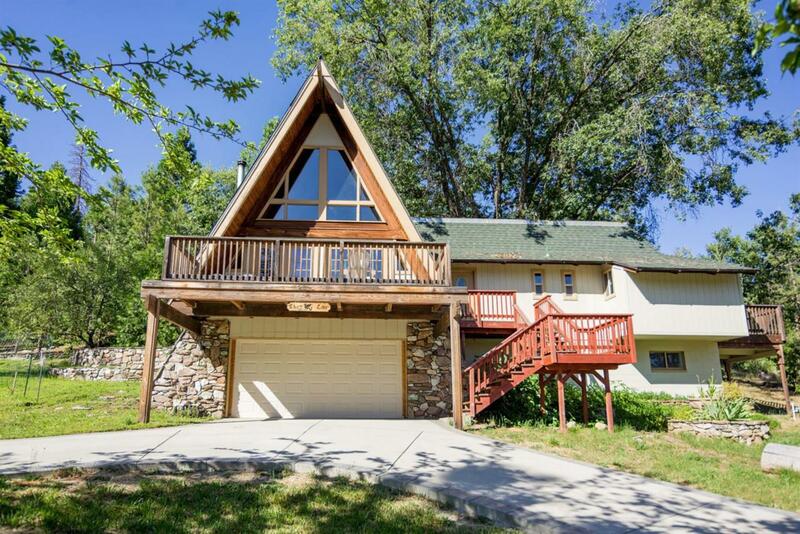 A great vacation rental, 2nd home or both, or just great year round living! Enjoy this Teaford subdivision, 4 bedroom, 3 bath remodeled home with a great open plan, plus a loft. 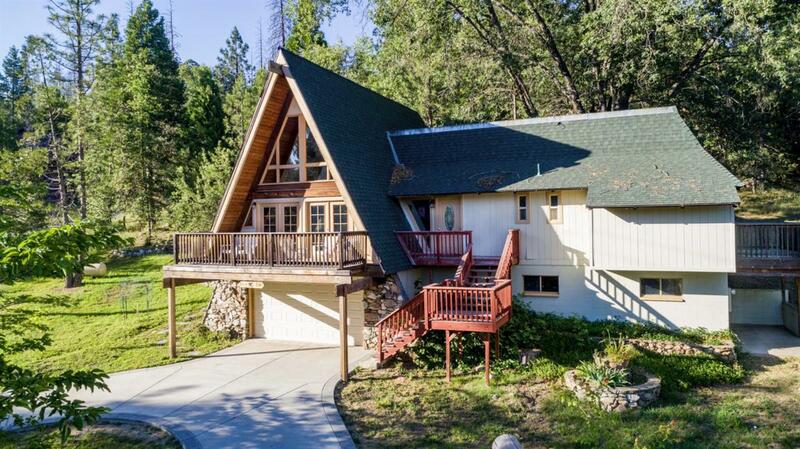 A great A-frame home with knotty pine ceilings and beams and rock fireplace with an insert! 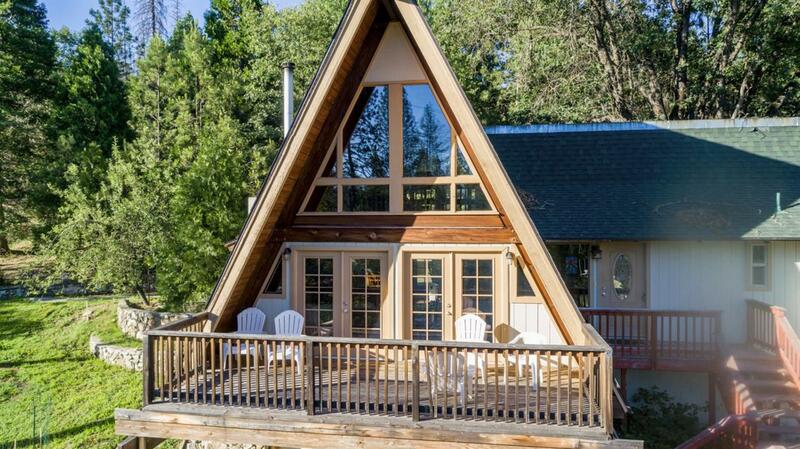 Love the design, remodel and decor. Sold mostly furnished. The back patio has a built-in barbecue & waterfall. Very private!! 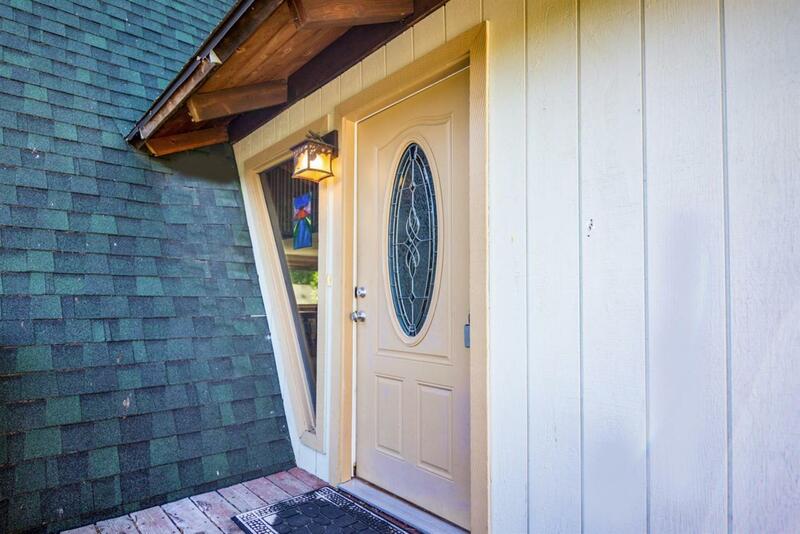 The home has an attached garage and lower level den, concrete circle driveway and located on a corner lot. Approx. 4+/- miles to Bass Lake. Just waiting for you!